On the night of Sunday, January 20, a rare Super Blood Wolf Moon made its appearance over the United State. Seen from our area in the Hill Country, the red-tinted moon was a beautiful sight. This unusual phenomenon occurs at the convergence of three lunar events. 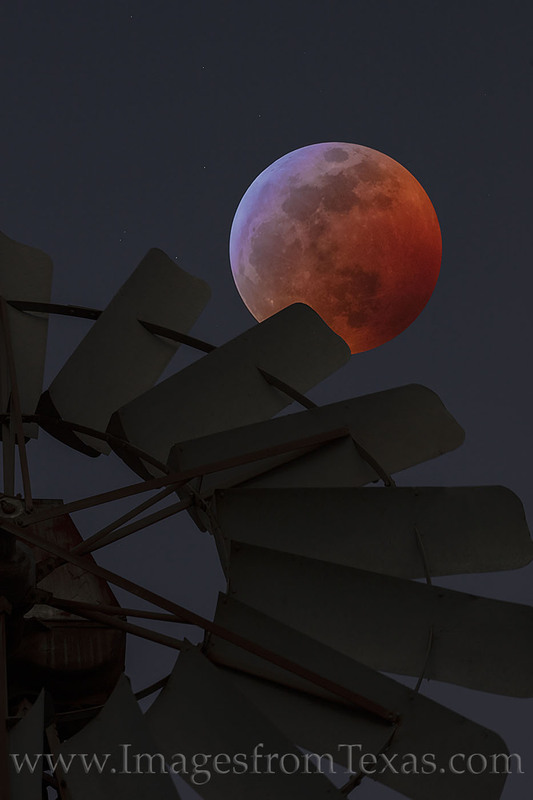 First, a “blood moon” occurs when our planet comes between the sun and moon (a total lunar eclipse). The gravity of earth causes the light to bend around the earth, casting a reddish-orange hue across the moon. Next, the “Wolf” part of the event comes from the lunar eclipse happening in January. In American folklore, the Native American Indians used to call the full moon in January the Wolf Moon because the coyotes would howl at the moon, hungry from the winter snows hiding much of their food. The “Super” portion of the name comes from the timing of the moon’s orbit. It occurs when the moon is closest to earth, and thus appears 14% larger and 30% brighter than normal. Photo © copyright by Rob Greebon.